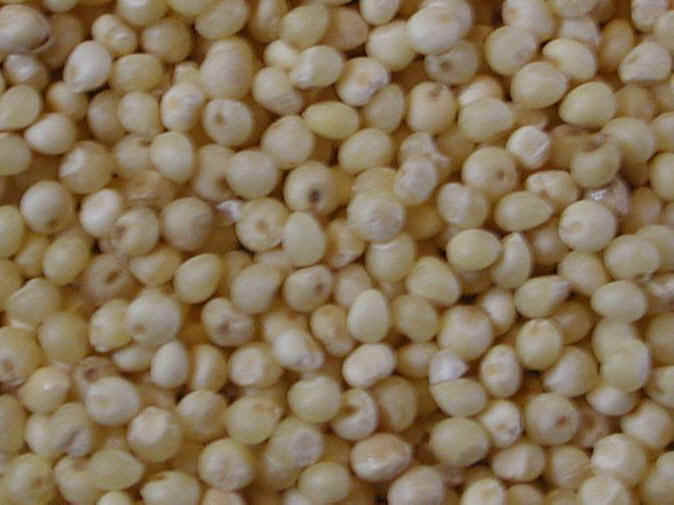 Millet has an interesting characteristic in that the hulls and seeds contain small amounts of goiterogenic substances that limit uptake of iodine to the thyroid. In large amounts these “thyroid function inhibitors” can cause goiter and some researchers feel this may explain, at least in part, the perplexing correlation between millet consumption and goiter incidence in some of the developing countries where millet constitutes a significant part of the diet. In many of these countries another contributing factor may be a lack of sufficient dietary iodine. Millet flour produces light, dry, delicate baked goods and a crust that is thin and buttery smooth. For yeast breads up to 30% millet flour may utilized, but it must be combined with glutinous flours to enable the bread to rise. For a delightful “crunch” in baked goods, the millet seeds may be added whole and raw before baking. Properly stored, whole millet can be kept safely for up to two years. The grain should be stored in tightly closed containers, preferably glass, in a cool dry place with a temperature of less than 70Â° or in the refrigerator. The flour deteriorates and becomes rancid very rapidly after it is ground, so it is best to grind the flour right before it is to be used. So, my brother-in-law Dan and I went to NY, and it was an awesome trip from start to finish. My father picked us up at the airport and took us to Royal Palace in White Plains, NY. I’ve mentioned it before, but it’s worth talking about again. Dan and I were famished, so a buffet was definitely the way to go. We loaded up our plates and went to town. The staff there is so great, asking us what we liked and didn’t like, and talking to us about India and where the foods come from when we expressed an interest. I will go there any time I’m in the area. The next day we went to Long Island to see my grandparents, and go to Town Bagel (I needed my NY bagel fix). Alzheimer’s disease is at epidemic proportions, with 5.4 million Americans–including one in eight people aged 65 and over–living with the disease. 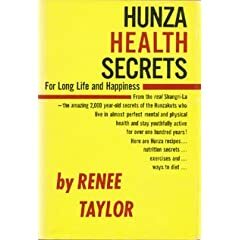 In the next 20 years, it is projected that Alzheimer’s will affect one in four Americans, rivaling the current prevalence of obesity and diabetes. There is still no known accepted cure for this devastating disease, and no effective treatments. Alzheimer’s drugs are often of little to no benefit at all, which underscores the importance of prevention throughout your lifetime. So since last time, I’ve tried some new things – Egyptian food for one – at a place called Pots here in Las Vegas. They have the usual hummus and babaghanoush, but they also offer a tasting menu, and my wife, my mother, and I all tried it. It was excellent. Ive noticed that being Vegan has made me move out of my comfort zone with a lot of foods. Egyptian was never something I would have tried in the past, but I’m glad I did now.